If you’re based in Tanzania and was wondering how you could cash in on the internet to make some money, then you will find a few tips in this article to help you get started. I have been making money online since the late 90s, so I’ve had the opportunity to evolve with this industry. Things do change rather quickly, year-on-year almost, so the best way to stay on top of things is to stay informed, keep learning, and hang out with the guys in the business. Fortunately, you can do all of this on the internet. So, are you ready to find out how to make money with Google online? The main thrust of my online business is creative writing. And so I write great SEO articles for the internet (submitted to directories), and I also write for clients in North America who hire me to write for them. You can never get rich writing for other people because you're basically trading hours for cash and there’s no residual income for you as a writer, but the experience you gain working for others is really handy in building your own business online. The more experience you have writing for the internet, the better equipped you become to writing articles that sell for your own online business. But hey, you don’t have to become a writer. I’m sure you’ll be able to find what works best for you, but given that the internet is now making major inroads onto mobile phone platforms, the sky for you truly is the limit. You’re going to be amazed to discover just how powerful Instagram and WhatsApp can be for you and how much ground you can cover in no time at all. Some people say that the money is in the list. Well, I’ll tell you this for nothing. Build your list with just those two platforms and you’ll see how crazy your business will go. 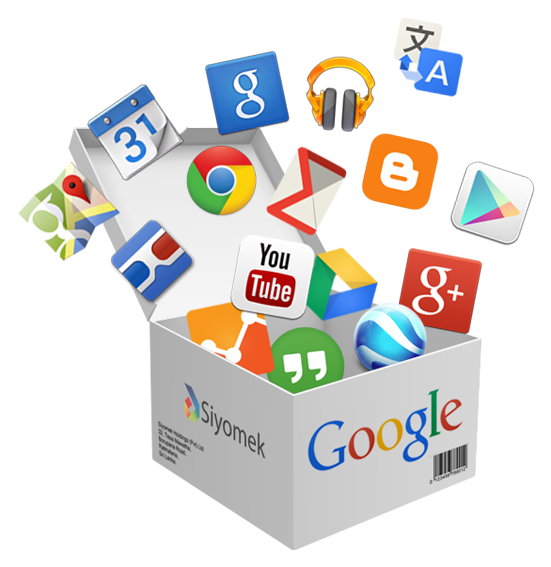 So let’s now take a look at what you CAN sell off your handset to make money with Google online. Once you’re affiliated with an internet marketing company that’s fully stocked with goods ready-to-go to market; and with online payment systems in place to process payments from your customers and to pay you commissions for all your sales; then you’re in business. All you have to do now is to ensure that you effectively market the products. I’m going to give you a 3-step-plan to getting the traffic that you need to generate an income. I wonder if you’ve noticed how simple affiliate marketing really is. There’s absolutely no need to reinvent the wheel here. Simply position yourself to make money with Google online, marketing other peoples’ products. Here’s the plan: 1) Set-up a blog. You may publish in both English and Kiswahili if you like, but the purpose of this blog will be to have your very own platform to recommend the products that you sell for the company. It is more powerful when products come recommended by a real person. 2) When you’ve published an interesting topic, make sure you promote that on your social networks. This is also great for sharing on WhatsApp. 3) Target your followers on Instagram by posting images of products you recommend, along with text messages directing people to your blog for the full article on the benefits of the product (always sell the benefits!). If you’re the kind of person that wants to make money with Google online in Tanzania, then, at the very least, this 3-step-plan of action should position you to begin earning an extra income online. I want to let you in on a little secret. Where the money comes from is irrelevant. I've had firsthand experience with Tanzania. What you need is a network marketing company that stocks a multitude of products you can easily promote, and a small group of affiliates to work with, in your own territory (or abroad) to push the products. And that's all there is to it! While you've been reading the above, thousands of people all over the world have been working to put money in my pocket. I even make money while I sleep! By this time next week, so could YOU. Get full info here! It was a frightening TV moment seen across the globe Monday morning when CNN anchor Poppy Harlow passed out while on the air. Harlow, 33, was reporting live when her words began to slur and soon after, listeners could hear her gasping for air. Shortly after the episode though, Harlow jumped on Twitter to put minds at ease. “For all of you asking on twitter..thank you so much…I got a little hot and I passed out for a moment..I am fine," she wrote on her Twitter page. Jennifer Wu, an OB/GYN at Lenox Hill Hospital in New York who does not treat Harlow, said dizziness and fainting are not uncommon during pregnancy. "Dizziness can be very common during pregnancy," Wu told ABC News. "There are hormonal and physiological changes that happen to your body when you are pregnant, your blood vessels dilate in order to bring more blood to your uterus and to the growing baby. "I tell pregnant patients it is better for them to eat small frequent meals, so instead of a big breakfast big lunch or big dinner better to eat every 2 hours," she added. "...you should always contact your doctor about faintness and dizziness--some symptoms are serious like shortness-of-breath, or chest pains." This is not the first time a reporter has struggled with words on-air. It happened to ABC News' own Paula Faris in 2013, thanks to gestational asthma, also because of a baby on-board. 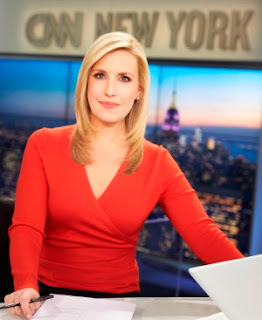 And in 2011, news reporter Serene Branson of KCBS-TV in California made national headlines after she lost her ability to speak coherently as a result of a migraine aura. 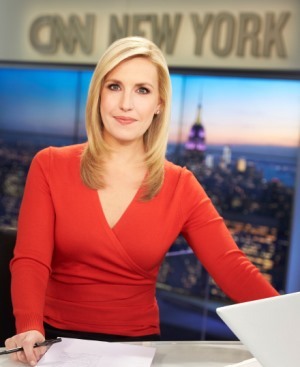 As for Poppy Harlow, her experience was nothing more than a scare and she and her baby are doing just fine. But doctors like Wu warn that if this happens to you, be sure to see a doctor right away. At Last! 1000s of hours of research condensed into an easy to understand book about natural ways to treat common pregnancy ailments…….and more. Alternative Therapies in Pregnancy and Beyond is your essential guide to 20+ drug free treatments to keep your baby safe during pregnancy. To find out more, Click Here! When it comes to earning a living online or off, I think nothing beats the lure and appeal of working from home. Therefore, on the surface, Multi-Level Marketing (MLM) would seem like the ideal vehicle to realizing your dreams of working from the comfort of your own home and earning a lot of money while you’re at it. This article will aim to discuss the pros and cons of the network marketing industry from the eyes of someone who has not made a huge success of it himself, but has learned a thing or two that have been of tremendous help to him in other areas. Information on locating the gold in MLM opportunities, I feel, is well worth sharing. Multi-level marketing does not work for everyone. But it can work for you—even if it’s indirectly. Over the years, I’ve learned more from network marketing than you can shake a stick at—certainly not a lot of money from it—but it doesn’t bother me. Fundamentally, the information you gather from being a part of such organizations—I find, has helped me in so many other areas of my life. I would best describe it as a funnel to discovering yourself, and a key element to self-development. And so in more ways than one, MLM opportunities help you find things you never knew existed, and if you’re smart, you can channel this invaluable information to improving your business, customer relations, self esteem, business planning, marketing strategies and much more besides. That being said, ideally, one would want to grow and prosper with MLM opportunities. That goes without saying. To make this happen (for you), you have to consider this: that aside from retailing, you’re going to be required to build an organization and to help and support your team to grow and prosper with the business. 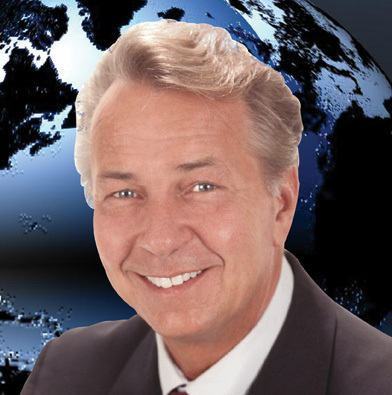 That is the only way you’re ever going to make money in network marketing. Sadly, even when the organization you’re hooked up with provides an advertising co-op to help you recruit on autopilot, the majority of people joining your team will not lift a finger to work the business. Ask anybody in network marketing if you want to confirm this quintessential fact. So how then do you go about making this work for you? I’ll begin by speaking for myself. USE the products! Find a product that you really like (even if it’s only a book) and use that product. The first rule in marketing is that you’ve got to KNOW your product, or else you will be in no position to pitch the product to anybody else. Period! With my MLM opportunity, the nutritional products are an absolute essential for me. I get super results, and everybody that knows me well is amazed at my flawless skin. (I actually plan to write a book on this). Yes, if anything, I will make money from my book. Everybody I know personally wants to know my secret. I did allude at the very top of this article that ‘I haven’t made a huge success with MLM opportunities myself, but I’ve learned a thing or two that have helped me tremendously in other areas.’ Well, take a wild guess! And this is just one example of HOW you can make network marketing work for you. I do hope that this article will motivate you to take a closer look at your Multi-level Marketing opportunity to find that elusive link to your success. I'm actually on my way to watch the blockbuster movie Star Wars: The Force Awakens, but I will be very much on the look out for James Bond franchise star Daniel Craig who, apparently, makes a cameo appearance in the film, albeit fleetingly. So if I don't tip you here on where to spot him in the movie, you probably won't. Viewers, are unlikely to notice him: Craig's appearance is as a stormtrooper, Entertainment Weekly reports. So there's your fair warning. According to Entertainment Weekly, Craig briefly appears as the guard in full body armor who fails to fall for rookie Jedi Rey's (played by Daisy Ridley) charms when she attempts to escape a prison cell using a Jedi mind trick. "You will remove these restraints and leave this cell with the door open," Rey says. Craig responds, "I'll tighten those restraints, scavenger scum." However, the trick works the second time, with the guard even leaving behind his blaster rifle for the escaping prisoner. Widespread speculation Craig was in the movie ensued after actor Simon Pegg leaked rumors of his involvement in 2014. At the time, Craig told Entertainment Weekly he was not in the film and Pegg was "just jealous because he's not in 'Star Wars.'" "Why would I ever bother doing something like that? F—ing hell! Pffft. Play an extra in another movie," Craig previously told the magazine. Star Wars: The Force Awakens premiered on Friday with a one-day domestic gross of $120.5 million, $250 million worldwide — a box office record. It's also won critical acclaim, with review site Rotten Tomatoes reporting 95% of critics gave the film a positive review. Download and Watch Full Movies Online. 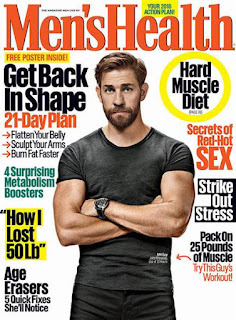 John Krasinski's Physique: How Metabolic Workouts Transformed him for "13 Hours: The Secret Soldiers of Benghazi"
For those of you who know John Krasinski for his small-screen role as Jim Halpert on "The Office," you'll be amazed to discover how he's moved on to the big screen since — and now Jim is just a memory. Check out the actor's easy-on-the-eyes transformation on the cover of my favorite fitness mag Men's Health Magazine! 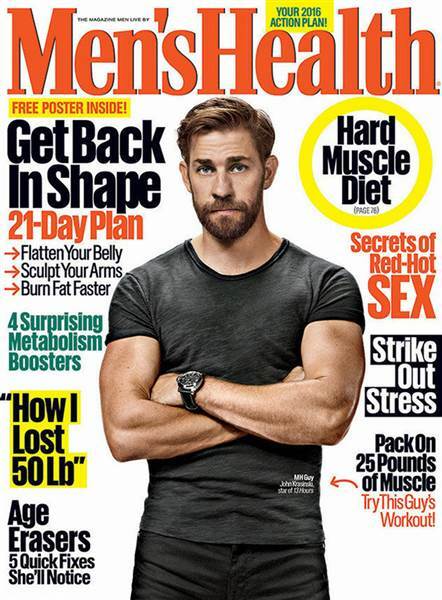 Krasinski is showing off his new pumped look in the January/February issue of Men's Health magazine, and it's a look he worked hard to achieve to play a convincing Navy SEAL in the upcoming film "13 Hours: The Secret Soldiers of Benghazi." "I gotta be honest: It was brutal at times," Krasinski said of the intense routines his trainer subjected him to. "We did tons of metabolic work, dragging sleds and all this stuff I've seen NFL players do." From bench presses to "Bulgarian split squats," it was intense. But it had to be. Krasinski had just four months to earn an action-star body. Well, his mission was well accomplished! But I'm sure you'll agree, getting fit has its benefits beyond the big screen (and making fans swoon). He's even been able to up his dad game. "I love feeling strong," he said. "You pick up your daughter with ease while everyone else makes a little grunt when they pick up their kids." Nice perk. And we're darn sure his daughter's mother, aka his wife Emily Blunt, appreciates the change, too. If you're the type of guy that wants to really get fit like John Krasinski , here's what you need to do. Your metabolism is your body’s natural energy-burning engine - the engine that YOU tune with your own habits and exercise. On top of the powerful and quick workouts in “Metabolic Explosion” - this very short and compact guide will help you with a few other simple habits to crank up your body’s everyday “after burn effect,” leaving you looking better than ever. To get started TODAY, Click Here! If like me you oftentimes get a little dizzy when researching content for articles, perhaps some visual aid is in order to help you get rid of that writers block so you can get on with the task of writing with new impetus and flair. I for one had never imagined in a million years that this is something I would ever even consider, never-you-mind get involved in. Whilst penning articles for a client, however, I stumbled upon YouTube as a good article content generator, and I haven’t looked back. Believe you me this resource is infinite. It has so much potential and is so easy to use. This article will talk you through the process of finding the right videos to draw content from and how to compose your articles off the back of that. It’s really very easy when you put it on this very simple assembly line. Most good YouTube videos aren’t scripted, so that in itself makes whatever you hear easier to write in your own words… because it’s spoken to you. Unlike article rewriting which basically takes written content from its original form to the rewritten version of the same, videos give you a lot more scope with generating content that’s fuller and more spoken-from-the-heart. I find videos tend to trigger ideas—way beyond the video you’re watching—which certainly does help in generating a more original angle to your articles. So how then do we go about using an article content generator such as this to putting the spoken word off of YouTube to the written article? Let’s take a closer look. The first thing you’ll want to do is run a search on YouTube for the relevant keyword based on the topic you want to write about. This will bring up countless results for you to take a look at. Now let me caution you here. You have to be very selective. Anything that looks like an outright commercial or hard-sell DOESN’T have content you want for an article. Because all they’re doing is trying to sell you something. What you need to be looking for are the simpler, more personal type videos by people sharing something with you in a more chatty and informal manner. THAT is where your article content generator lies! So, you’ve found what you like and now you want to hear what they have to say in your niche. Ideally, run the video through to the very end before you decide whether or not its content is for you. Or for example, you might like some of the content but may want to research for more ideas from someplace else and then combine the two ideas to fit your angle. Never limit yourself to anything. If your YouTube article content generator triggers an idea that’s a departure from what you had initially planned to research…then by all means go for it! Sometimes a sentence or even a word can trigger an angle you had not planned for—which happens to me all the time. Those are your creative juices at work for you. Don’t hold back, let the juices flow. They’ll likely lead you to a brilliant idea for your article. When it comes to the potential of using YouTube videos as your personal article content generator, the sky truly is the limit. 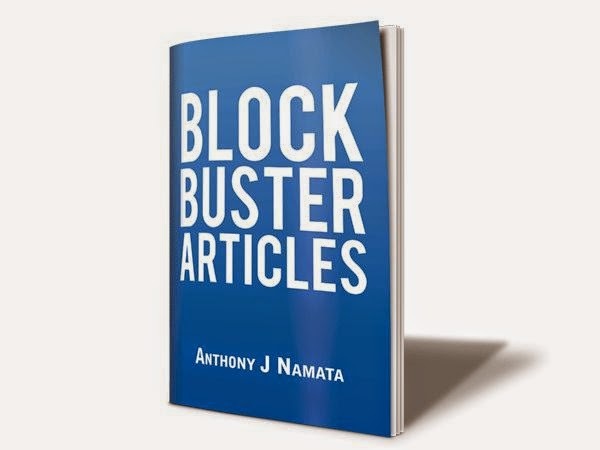 Download e-Book How to Turn a Dull Article into a Blockbuster!